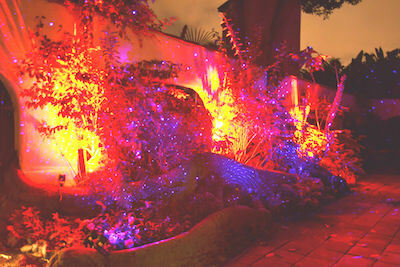 Light up your garden with these GardenSMART Favorite Products. The BlissLights Spright is ideal for your outdoor and indoor decorations, whether you are looking for fun everyday lighting to make your home turn from ordinary to extraordinary, something special for the holiday season, or a more blissful summer night party. 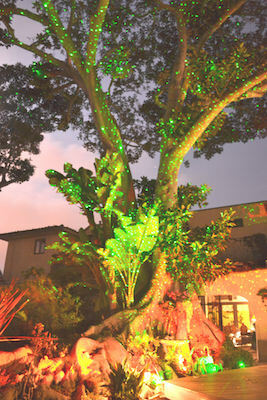 The Spright is easy to use, just plug it in and point it, and watch it project a static star-field of pinpoints of light onto your trees, house, and yard, or bring it indoors and transform any space. You are only limited by your imagination. Your friends and neighbors will be amazed! They’ll think you put in countless hours of work decorating, when it really took you less than 5 minutes. No more ladders, broken bulbs, and holiday stress associated with traditional rope lighting. It will simplify your outdoor decoration needs, but without sacrificing the beauty. Be prepared to be the center of attention and don’t be surprised if your neighbors knock on your door to ask how you did it. The advance design of the BlissLight Spright allows it to work with existing low voltage lighting systems and automatically compensates for voltage drop (a problem that has plagued contractors for years). Change the look and mood of your outdoor décor with a click of a button! The low-voltage BlissLights Garden Accent Light is a 16-color LED floodlight, perfect for everyday use to highlight gardens, doorways, or any place that needs an accent of color. They’re great to combine with other products to produce Holiday lighting effects, and a great compliment to all BlissLights products. - The Garden Accent Light comes with battery-operated remote control, stake, and 12V-12W transformer. 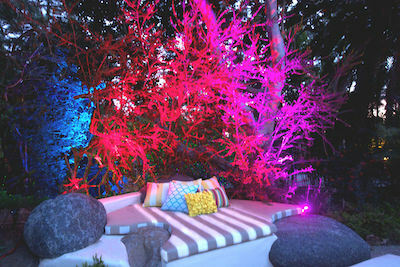 - The Garden Accent Light Remote allows you to control the color, intensity, and mode of each fixture. - Custom diffuser spreads light more evenly than other standard floodlights. and reach its full projection). - Projects surface area coverage of 15ft by 15ft. Learn more about BlissLights at www.blisslights.com You can also purchase these affordable lights at the website. BlissLights offers free shipping to the lower 48 states. 10% of the web sales go to two not-for-profit organizations. If you prefer local sales, click Company on the website, where you will find a dealers section or other distributors to contact.